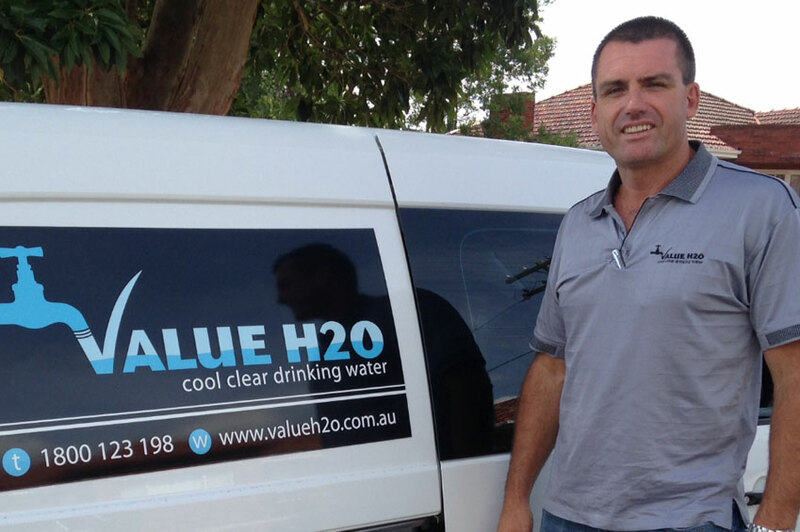 Value H2O is Sydney’s leading provider of office water coolers – supplying and servicing water coolers Sydney wide including Newcastle, the Central Coast and Wollongong. Fully Australian owned and operated, we provide economical and eco-friendly alternatives to conventional bottled water coolers Sydney wide and in surrounding areas, representing true value for money. Who we supply – We are leading suppliers of office water coolers and dispensers throughout the greater Sydney metro area and beyond from small offices to large corporations. The preferred water cooler supplier for a statewide government agency, we are also trusted by many prominent Sydney business names to provide and service them with our office water coolers. 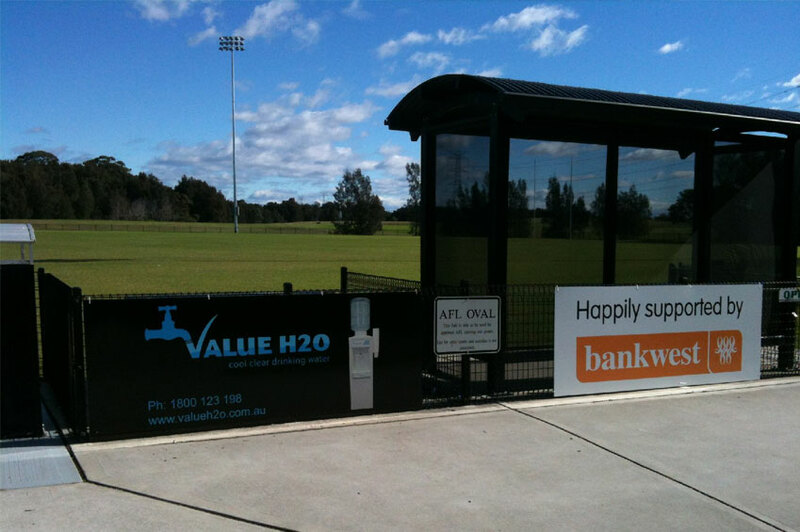 Our present customer base for water coolers Sydney wide and throughout surrounding areas includes commercial complexes, distribution centres, factories, warehouses, sports & medical centres, retail outlets, reception areas, professional suites, pubs, clubs and child care facilities. We have water coolers and dispensers to suit all types of businesses. Where we supply – Based in Sydney, we not only supply and service office water coolers Sydney wide. We service countless customers throughout the greater Sydney metro region in addition to a wide geographical area covering most of NSW. 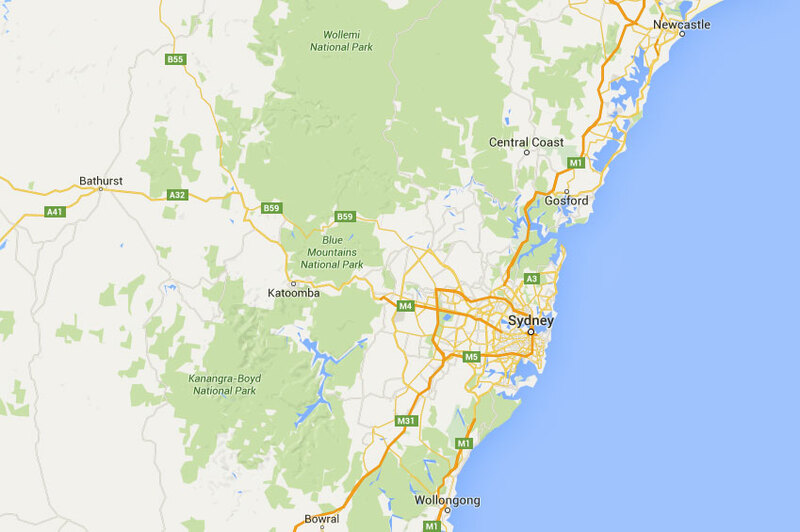 We service north to the Central Coast incorporating Newcastle, Gosford, Erina and surrounding districts, to Tweed Heads in the far north; south of Sydney to the Southern Tablelands of Bowral, Mittagong and Goulburn, extending all the way to Queanbeyan; the South Coast/Illawarra region of Wollongong, Kiama, Gerringong and Nowra; inland in the south to Wagga Wagga and Albury, and west of Sydney to the Blue Mountains, Bathurst, Orange and Dubbo. We take our commitment to our water cooler customers seriously and provide on-going client support with all our rental agreements. Matched with our quality Australian-made water coolers and our friendly, professional water cooler service technicians, we maintain our level of service to be the best in the business. What we believe – As an essential element to good health and well-being, we believe that clean and clear filtered fresh drinking water should be available to everyone – and in the most cost-effective manner. Protecting our environment from the destruction and degradation associated with continued bottled water and spring water production and its widespread use is also a major concern. By utilising the availability of mains-fed tap water that is already in place, the Value H20 carbon filter water coolers do both. Not only do all our office water coolers provide an endless supply of freshly filtered water – at a fraction of the cost of spring water and conventional bottled water – our green solutions to traditional bottled water coolers allow our customers to choose the most economical, most convenient and most effective way of producing high quality, healthy filtered water to drink…and it’s the clear choice to help the planet. Contact us today to find out more about office water coolers for your business. We have installed 4 filtered inline systems over various locations in various situations over the last few months and we could not be happier with the outcome. Matthew & Krys made each installation hassle free with wonderful service and communication from start to finish. The quality and efficiency of the water from the systems makes me wish I’d found them years ago! 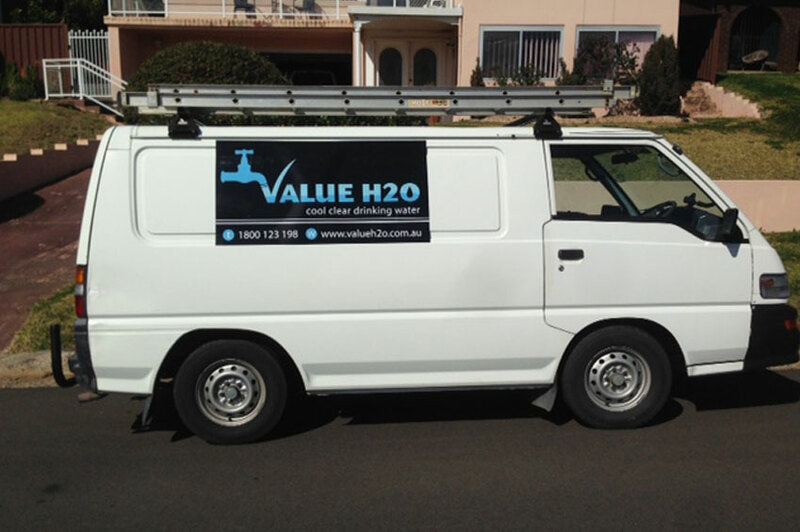 I have had great dealings with the team at Value H2O with a personalised service tailored to our site needs. Service calls are prompt and on time. With regular contact from Matthew and the team I always know we are being looked after. Since Value H20 has taken over our Filtered Water Cooler, we could not be happier. Matthew and his team are friendly and efficient and our machine has never been cleaner. I have recommended the services of Value H20 to many friends and colleagues and everyone is equally satisfied with the service they receive. Thank you and keep up the good work! Wayne, Goodwin, Chivas & Co.
As the name suggests, it really is VALUE for the service, satisfaction and quality this Company provides. After having tried other water systems I have found Value H20 the best in every way. They have a quality easy to use system, their service and maintenance program is outstanding and the cost is more than met through ease and efficiency of the product. Highly recommended for any gym or fitness centre. For approximately 4 years I have been consuming bottled water and paying a huge price for the privledge then along came Andrew from Value H 2 O with the offer of a 14 day trial free of charge. I’ll be honest I um’ed and Ah’ed as “free” is usually code for “cost you a fortune later” well after just 2 days I knew the machine was here to stay, I fact I have now had one installed at home as well as the one in the office. The value H2O devise delivers crystal clear contaminate free water every time, hassle free and all for a fraction of the price of bottled water. Matthew installed my machine and I have not met a better presented well mannered honest man in such a long time he was a breath of fresh air. I highly recommend dealing with this integral company. I have used Value H2O for the last two years. H2O was quick and super helpful with support. Thanks Matthew and the team. You are amazing!